In petrography, and in some other analyses, it is necessary to examine the structure of materials using light transmitted through the specimen. For this to work effectively on rocks and minerals, the sample needs to be extremely thin – typically 5-30 microns. Many applications need the thickness of the specimen to be extremely consistent, in order to be able to analyze it effectively. 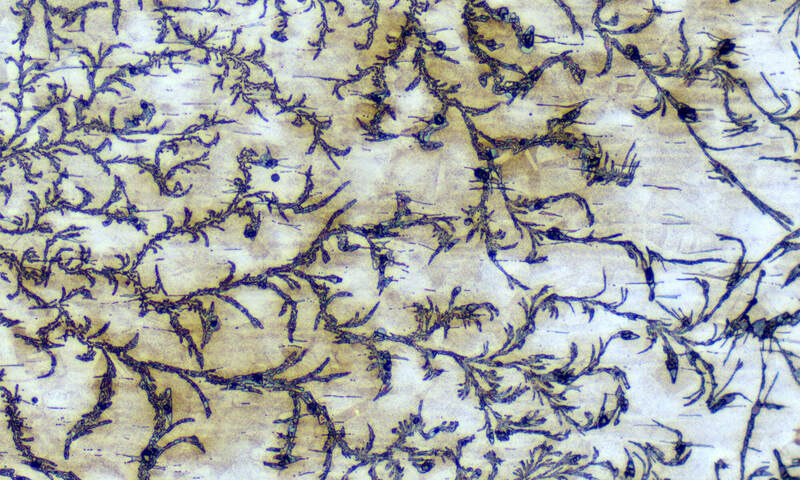 The PetroThin is used to create thin sections from samples that have been bonded to glass slides. The material of interest is fixed to the glass slide, and the PetroThin is used to cut and grind it to less than 100 microns thick prior to polishing. If the bond between the material and the slide is not effective, the specimen may not be placed accurately or may even come off the slide during preparation. To ensure the most uniform thickness, and to increase bond strength with the sample, a process known as ‘frosting’ is used. 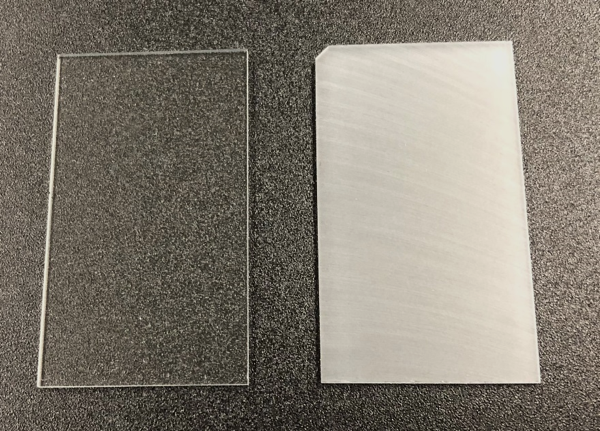 Frosting creates microgrooves on the bonding side of the glass surface, and also ensures the surface is parallel to the diamond grinding wheel, thus maintaining uniformity over the entire glass slide. The process is simple – attach the clean slide to the vacuum chuck, and grind against the diamond grinding wheel in ~10micron increments until the surface of the slide is evenly marked – at this point it will look milky white. For best results, keep the glass slide in the same orientation throughout processing. This is most easily done by notching one corner of the glass slide – grinding briefly with 600 grit SiC paper is effective for this. The sample is bonded to the frosted surface using a low viscosity epoxy such as EpoThin 2. The low viscosity epoxy keeps the bond thickness between the specimen and the glass slide to a minimum, as well as maximizing the penetration of the epoxy into the sample (supporting it during later polishing stages). The PetroBond fixture applies pressure during curing of the epoxy, vital to ensure both a consistent and thin bond layer.